Television and internet have blended into our lives like never before. More and more internet companies are coming out with their television commercials since the last year. The latest to join the bandwagon is Bangalore-based online private label of furniture and home decor, Urban Ladder. The furniture etailer is looking to strengthen its presence among mass audiences with the launch of its first television campaign titled ‘Brings you closer’. Similar to Centuryply’s ‘Khushiyon ka Rangmanch’ campaign that celebrates furniture as an important component of all homes and emphasizes its emotional value in consumers’ lives, Urban Ladder’s ‘Brings you closer’ also places emphasis on furniture and the shared memories associated with them. 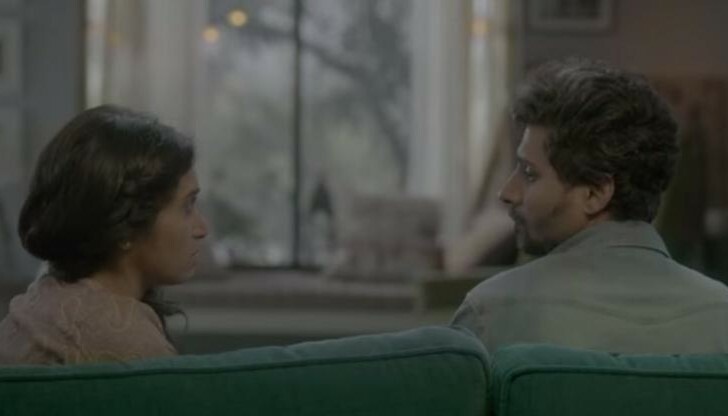 The 45-second TVC conceptualised by Lowe Lintas, features a couple on the brink of separation. While the husband is packing up his stuff, the wife points at the sofa in their living room and suggests that he take it with him as he was the one who bought it. He says she was the one who selected it, so she should keep it. While there is a moment in which both look at the room, the husband says out loud that it’s a pity how they can’t even talk to each other. The wife gets seated on the sofa; seeing this, the husband who was at the door with his bags comes back and sits beside her on the sofa. While at first they are seated far apart on the sofa, eventually they move closer to each other. The voiceover ends with, “Kuch cheezein aise hi..jo paas le aathi hai…Urban Ladder”. The campaign has been extended on the digital front too; Urban Ladder has been inviting furniture stories from the community. On Instagram fans have been asked to share moments at home that have brought them closer to their family using the hashtag #BringsYouCloser. The picture that captures the best moment stands to win furniture from Urban Ladder. On Facebook, the brand had launched an 8-day contest around eight of its furniture products. Each day the brand shared a picture of one of its furniture and asked fans to share bonding stories around it. Fans needed to share personal stories associated with study tables, beds, desks, sofas, etc. Urban Ladder has been building its brand with the help of user stories ever since last year with its ‘Urban Stories’ campaign. It featured stories of how the brand helped people in designing their homes with the right type of furniture and decor that matched with their personality. Urban Stories set the stage for a closer bonding on the online space, a win-win for the online furniture brand. The latest campaign, though conceptually similar to Centuryply’s ‘Khushiyon ka Rangmanch’ further adds to build brand affinity with the help of stories. From the TVC to the social media buzz around the campaign hashtag #BringsYouCloser, the brand has ensured furniture is given special emphasis in terms of associated emotions and memories. It has played well to the new age consumer’s aspirations leveraging the power of stories. Additionally, giving away Urban Ladder products for the #BringsYouCloser contest has indeed made it a memorable one.